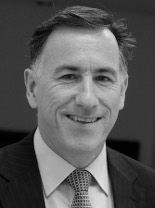 Prior to his involvement in financial planning, Adam’s career of almost 30 years has spanned investment banking, corporate finance, mergers and acquisitions and water & environmental consultancy. Adam also has an MBA from Melbourne Business School and a science degree from Monash University. He came top of his year in the Financial Planning at Deakin. Adam and his partner have fifteen-year-old twins and all are keen travellers. When he is at home he can be found in his beloved organic veggie garden.